Almonds contain beneficial compounds like vitamin E and A these nutrients make skin beautiful and healthy. compounds like zinc and and vitamin A are good for hair growth. Compounds like selenium, vitamin A and C have antioxidant property. Therefore they help to delay aging. Almonds help to decrease blood pressure in hypertensive patients. Almonds contain unsaturated essential fatty acids which are good for body especially for cardiovascular system. High quantity of unsaturated fatty acids help to decreases bad cholesterol level in blood. Researchers found Almonds useful in diabetes and heart diseases. Almonds are natural multivitamin drugs. They are rich in vitamins and minerals. Almonds intake in pregnancy decreases the risk of birth defects in fetus. Intake of Almonds prevents constipation and colon cancer. Almonds help to reduce weight. A really informative post and appreciate your work of sharing the information. 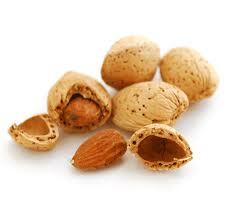 The best dry fruit that I like is Almond and have it on a regular basis. Thanks fr the information and keep sharing.